We’ve previously talked about jackets, the warm and waterproof kind. Sometimes though, you just need to keep a little drizzle (or infectious zombie blood splatter) off of that pretty little head of yours. I get it. You’re trekking through the woods, moving fast and light away from base camp on a scouting expedition and it starts to rain. 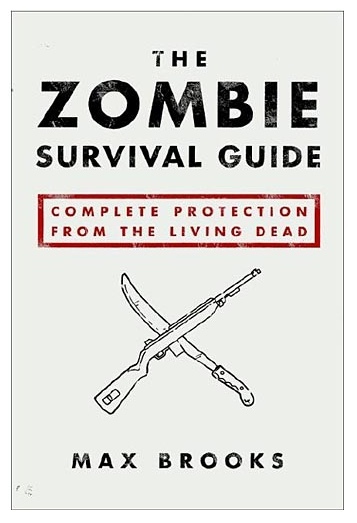 Or you’re hacking your way through a throng of reanimated zombie corpses in the middle of what used to be your favorite bakery with your brand new Eastwing axe, and you’d rather not get goo all over what may be the last chocolate covered donut on the planet. No problem. With a poncho in your pocket, we’ve literally “got you covered”. This Poncho is your go-to, “oops didn’t know we’d be doing that today”, keep me clean and dry, travel accessory. 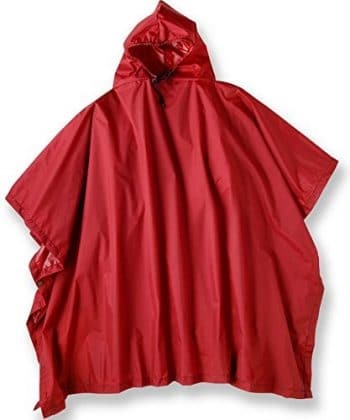 The Multi-Purpose Poncho is a urethane coated nylon taffeta blend what packs into a pocket sized rip-stop nylon carry case. It’s a knee-length hooded garment that easily fits over whatever clothes you’ve already got on. Thus solving the problem of what to wear at the end of the world-Ponchos. You’re welcome.